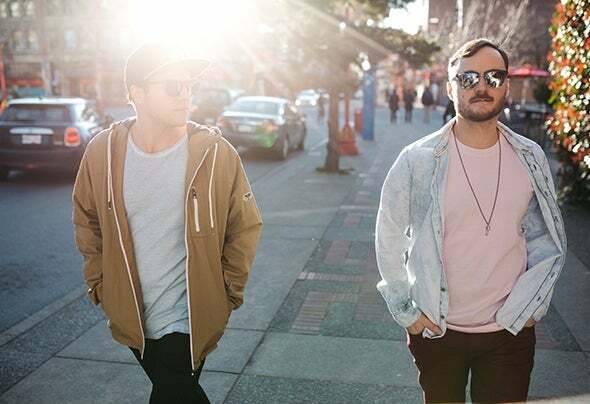 The Funk Hunters were born when Nick Middleton and Duncan Smith met while attending film school in western Canada, and has been both a studio project and live juggernaut ever since. In a sea of carbon-copy producers, The Funk Hunters have cultivated their signature sound by creating forward-thinking electronic music that is influenced by old school soul, funk and hip-hop. Their vision has resonated with both listeners and industry tastemakers alike, with their music amassing over 10 million track streams from their original productions, remixes and collaborations. The Funk Hunters have been honored with official remixes for artists across the spectrum of both popular and underground music, including Imagine Dragons, Selena Gomez, Big Gigantic, Chali 2na, and Gramatik. Their vibrant global touring career has included major festival plays at Coachella, Lightning in a Bottle, Electric Forest, Osheaga, Burning Man, and Shambhala, and they have honed their live craft with over 750 performances in 16 countries.On stage The Funk Hunters have always been the driving energy of the party – and with TYPECAST they now also deliver a body of creative work that transcends the party. Their status as thoughtful curators and tastemakers is solidified with this sprawling new collection of original tracks. The album alternates between socio-political overtones (“Hands Up”) and pure dancefloor revelry (“Party Rockin”), while also introducing major melodic moments to juxtapose adrenalin-filled drops (“Turn Down the Silence,” “Say Something”).With the release of TYPECAST, 2018 is aligning to be the most monumental year yet for The Funk Hunters.